Ultra-fresh and rapidly absorbed texture. 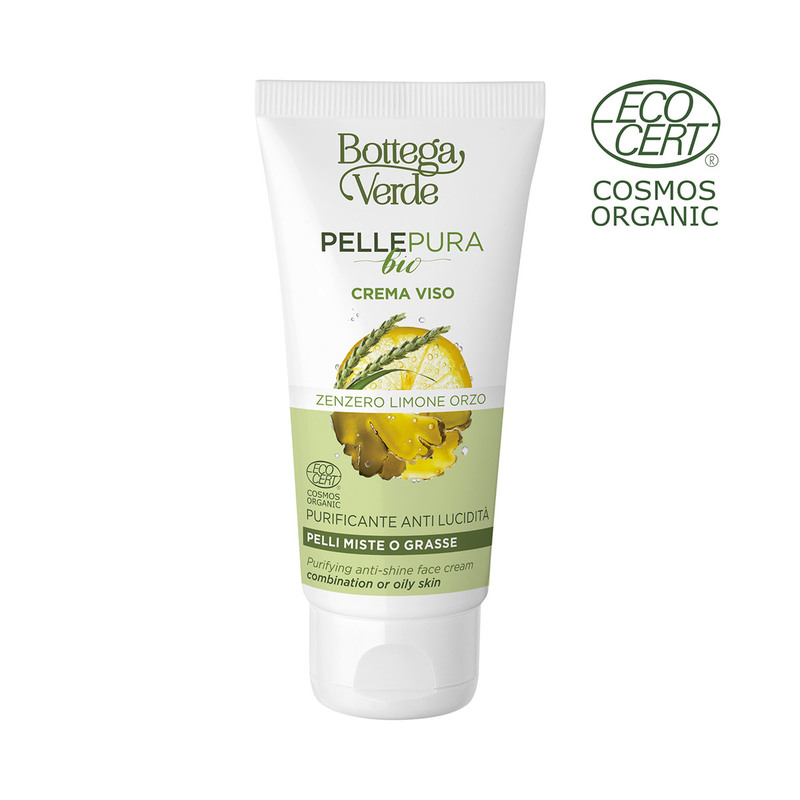 The Lemon oil and juice have astringent and purifying properties, fighting blemishes on oily skin. As well as its renowned therapeutic properties, the organic Ginger also offers a wealth of benefits for the skin, with protective and calming properties. A cool and light cream designed specifically for daily treatment of impure skin. It provides an instant sensation of beauty and comfort, moisturising your skin and at the same time offering a targeted normalising and mattifying action to reduce shine. The non-comedogenic formula contains a selection of natural ingredients: Lemon juice and oil, organic Ginger extract, Seaweed extract, with sebum normalising properties, and Salicylic Acid, with exfoliating properties that help renew the skin. The results are surprising: your skin will appear `purified¿, fresh, even and¿ pure! A fresh and light cream, designed specifically for daily treatment of impure skin, offering a targeted normalising action to reduce shine. It contains a selection of natural ingredients: Lemon juice and oil, organic Ginger extract, Seaweed extract, with sebum normalising properties, and Salicylic Acid, which has exfoliating properties that help renew the skin. The results are surprising: your skin will appear `purified¿, fresh and even! WARNING: Do not use on children aged under 3. Actions:Fights shine, purifies the skin, normalising and mattifying. Direction for use:Apply it to the face and neck after cleansing in the morning and the evening. Scent:Citrus notes, with lemon essential oil. Characteristic:Choose it if you want a product that contains no parabens, formaldehyde releasers, silicones, mineral oils, colourings, EDTA or alcohol.